Find a therapist in your area. Use the search box to search by city and specialty. 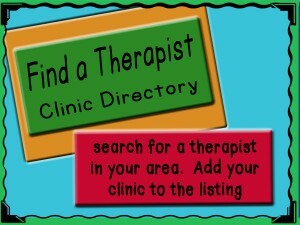 If you are a therapist and have a clinic, click on the add a listing and your clinic can be included. It will not show immediately, as listings must be approved to limit spam.